Welcome to the Paignton Sea Anglers Association website,which is dedicated to providing you with up to date information about angling catches, competitions, social activities and events within our Association. There is also a weather and tide time link, vital information if you are planning to go fishing! Angling is reported to be one of the largest UK leisure activities, and the South West of England has a great reputation for the variety of species and the quality of its fishing which benefits from the warmer waters of the gulf stream. If you are an expert or novice angler, you will be delighted at the range and diversity of the fishing opportunities that are on offer. P.S.A.A. 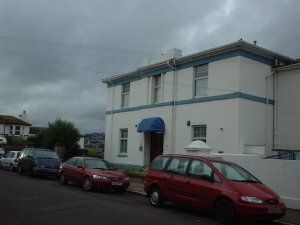 one of the largest and most successful angling Associations in the UK, formed in 1956 it has around 350 members, and since 1985 it has owned and impressive two storey clubhouse, Ravenswood, which overlooks Paignton Harbour and the English Riviera at Torbay, Devon, and is open Mon-Thurs evenings 7.30pm to 10.30pm, Friday 7.30pm - 11.00pm and weekends Saturday 2.00pm to 11.00pm. Sunday 5.00pm - 10.30pm. hours may alter for functions. Members have the facilities to fish seawater and freshwater. Our sea shore club waters extend from Portland Lighthouse west around the coastline of Dorset, Devon,Cornwall and Somerset to the old Severn Bridge including tidal rivers, and if you are fishing from boat at sea the area is not limited. Sea anglers must weigh their catch within 24 hours of capture, Our freshwater club waters are those that operate day tickets for coarse fish and non-migratory trout west of a line drawn from Portland Lighthouse to the old Severn Bridge.We also have a Home Water for freshwater competitions. Freshwater anglers must weigh-in their catch within 24 hours to the rules and bye laws at the water in which the fish is caught. Non Migratory Trout can be weighed in at the clubhouse. To see more details go to the Angling Bye Laws link. Our club waters area offers massive angling potential, and our keen members have held and are currently holders of numerous British Record fish. We cater for angling,ordinary, sporting, junior and temporary membership, families are welcome, and juniors have their own section with cups, competitions and prizes. Visitors and non anglers can also visit our clubhouse. If you are interested in any aspect of angling, please browse the website links for more information, the Association is always keen to attract sea and freshwater anglers as members and you can find out about this on the membership link. If you are in the area, or on holiday, please do not hesitate to call in at Ravenswood for a drink and a chat with us about fishing, and the one that got away!! Upon entry to the club we have a Hall of Fame where British & club Records can be viewed. This website will be mainly updated late evening. or any visitorto the club. 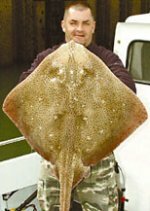 For Non Members fishing Info please visit Latest Catch Reports. All Photos & Acticles on this website are copyright. 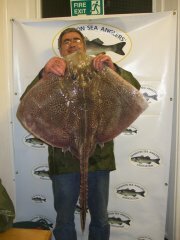 Copyright 2017 � Paignton Sea Angling Association. All rights reserved. weighing in at 22lbs 11ozs 10drms. Weighing in at 2lbs 15ozs 4drms. 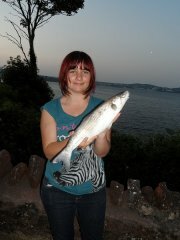 whilst fishing in Brixham Harbour.